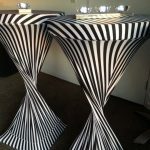 Unique dry bar covers in stripy black and white. Please contact us for more details on this hired product. 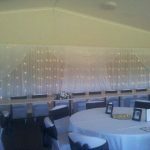 Black dry bar covers and dry bars available for hire. 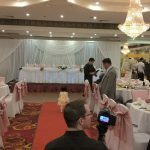 Bridal table backdrop with layers of white fabric, white satin scalloping and coloured themed bows and featuring fairy lights softly glowing through white organza fabric. 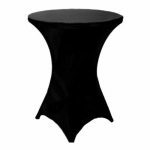 Bridal table with white skirting and white satin scalloping with coloured themed bows. Approximate size of backdrop 6m wide x 2.2m high. Price – Hired items – price on request. 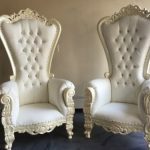 Bride and groom elegant throne chairs in white with ivory trim. Hire only. 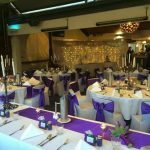 Cadbury purple reception setup complete with full white fairy light backdrop in the background. *Centre pieces supplied by Bride. Fresh flowers around Glengariff historical Estate arbour structure. (This structure is a permanent fixture at this venue). Complete with draping over the top in white organza material. 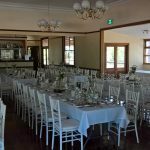 Classic all white setting with white Tiffany Chairs, white tablecloths and white napkins. 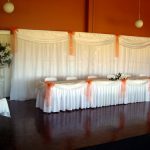 Our elite bridal backdrop has front and side drapings as well as the back curtaining and can extend to over 12m. 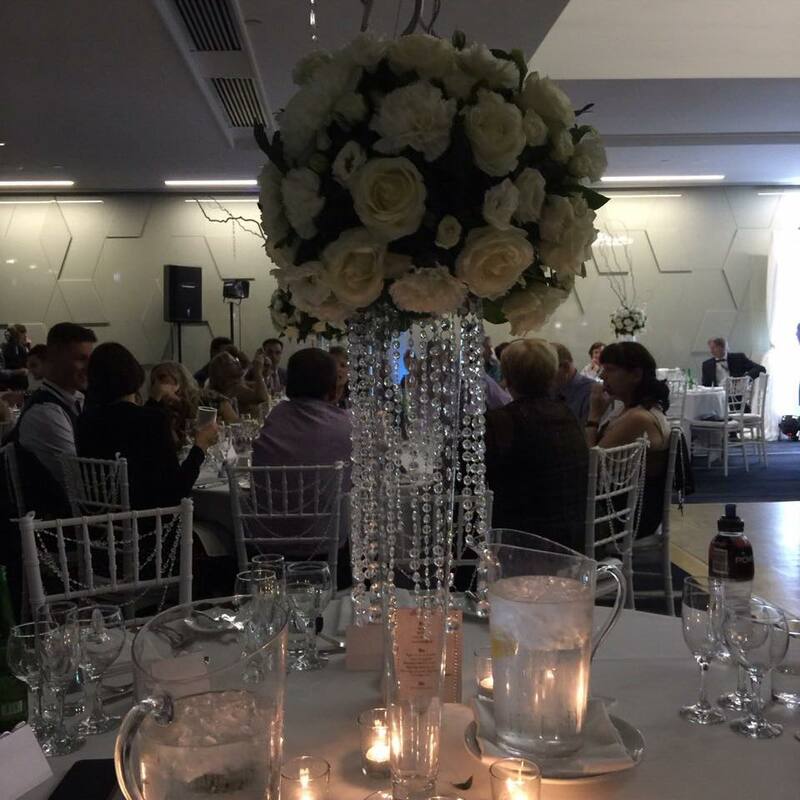 With our waterfall fairy lights this is a truly beautiful backdrop. Rustic fence pail urns with white and ivory silk flower arrangements displayed on matching fence pail pedestals. 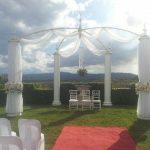 Perfect for a vintage or country ceremony. 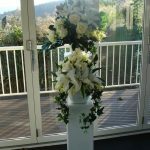 Small modern urns to hire $40 each includes urn, pedestal and silk flowers to hire. 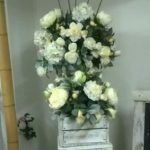 Extra tall trumpet vase with fresh flower ball and hanging crystals. Stunning!! Please contact us for further details on this display.